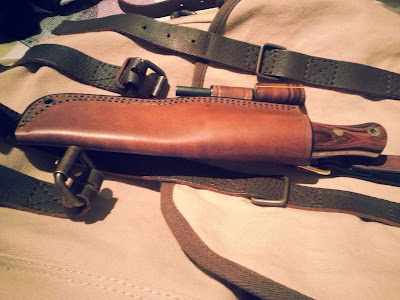 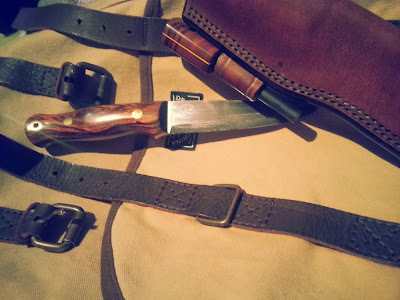 Adventure Sworn Mountaineer, by far the best Bushcraft knife I own. 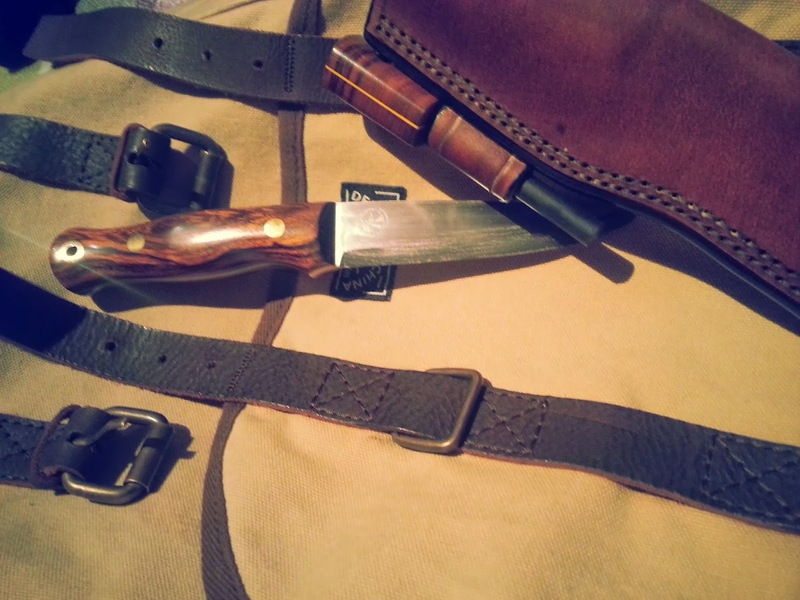 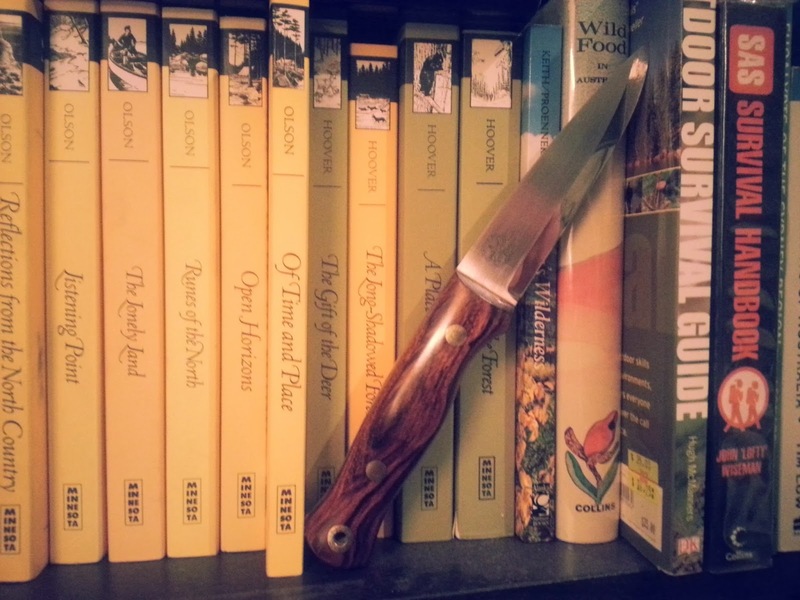 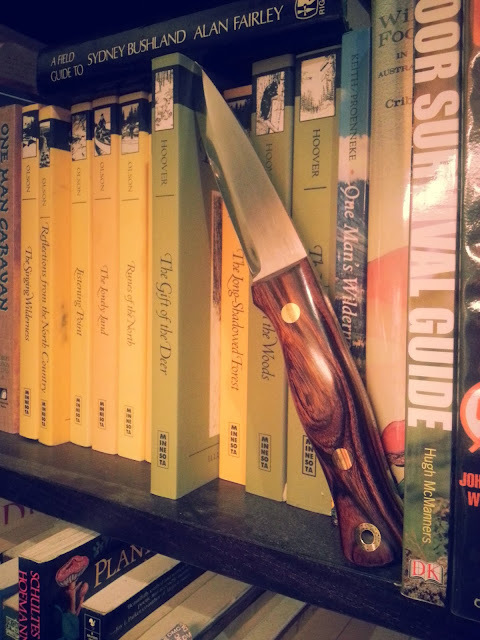 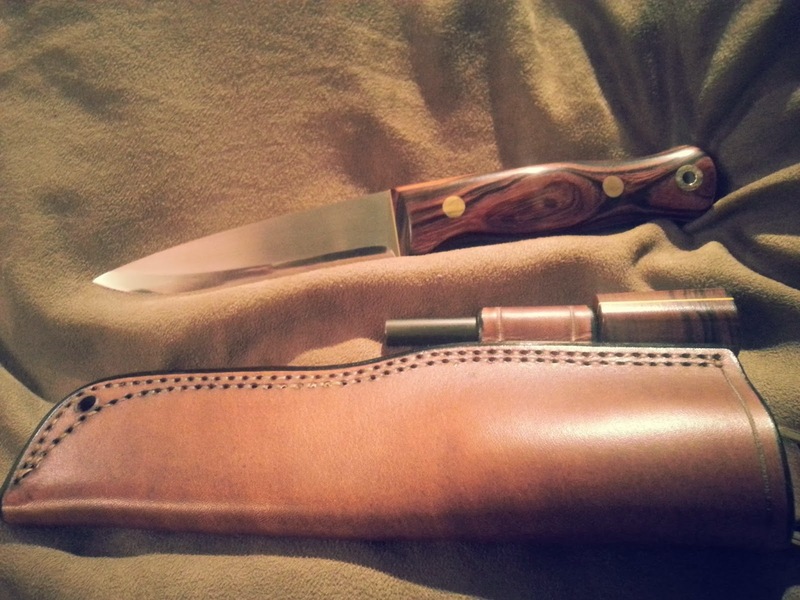 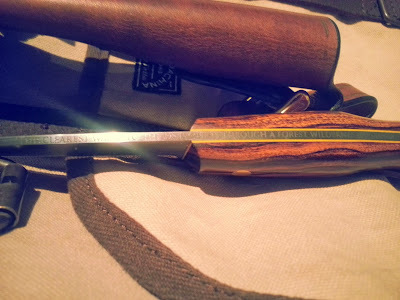 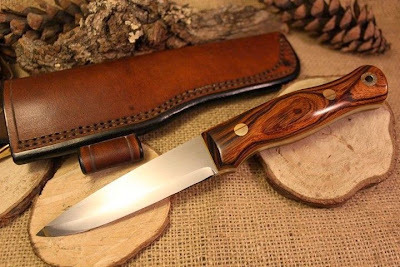 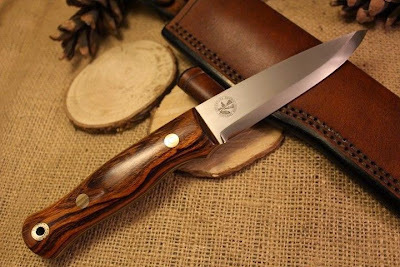 Great for all out door tasks, general camp knife and wood carving. 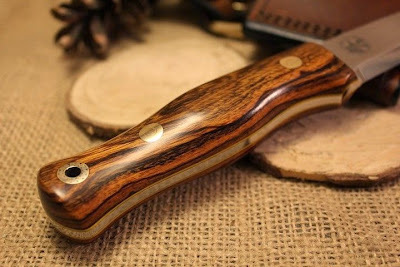 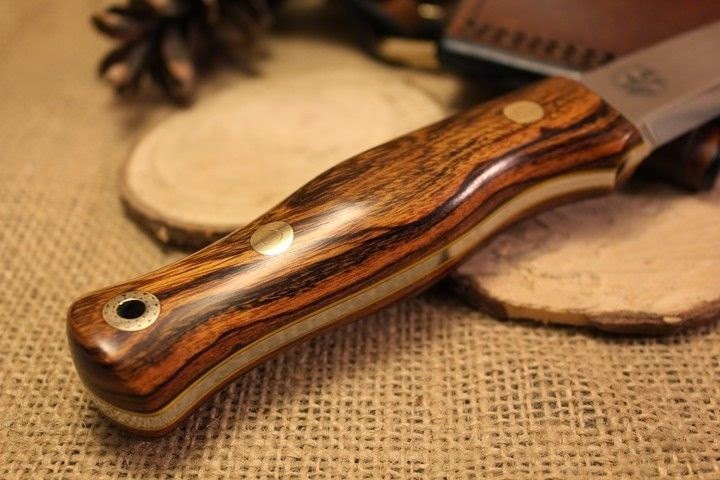 This is the knife makers own take on a Bushcraft style knife, borrowing design elements from the ubiquitous Woodcraft design, scandi grind, 4 inch blade, but adding a distinctive handle unique to Adventure Sworn with a rounded pommel. 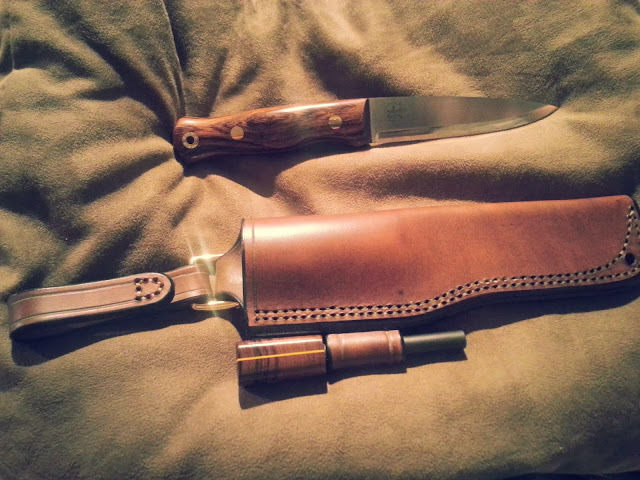 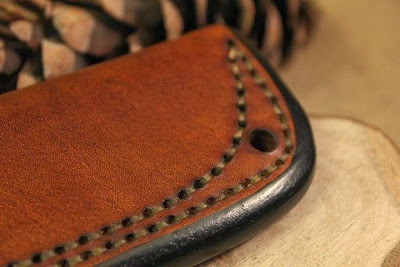 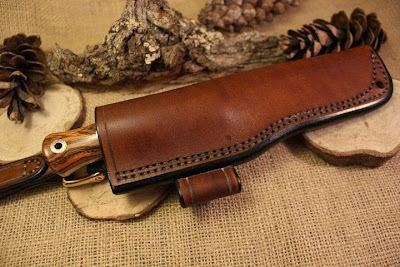 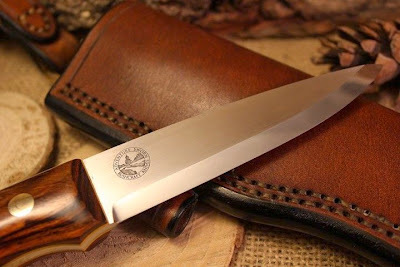 The knife, sheath and firesteel are all hand made to the highest standards and it all comes with an heirloom warranty. 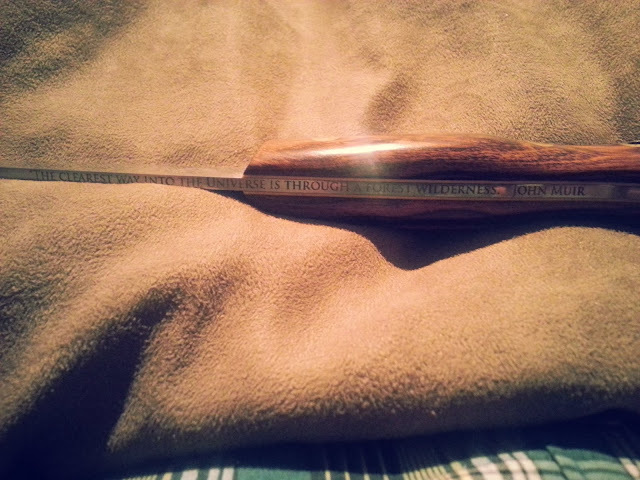 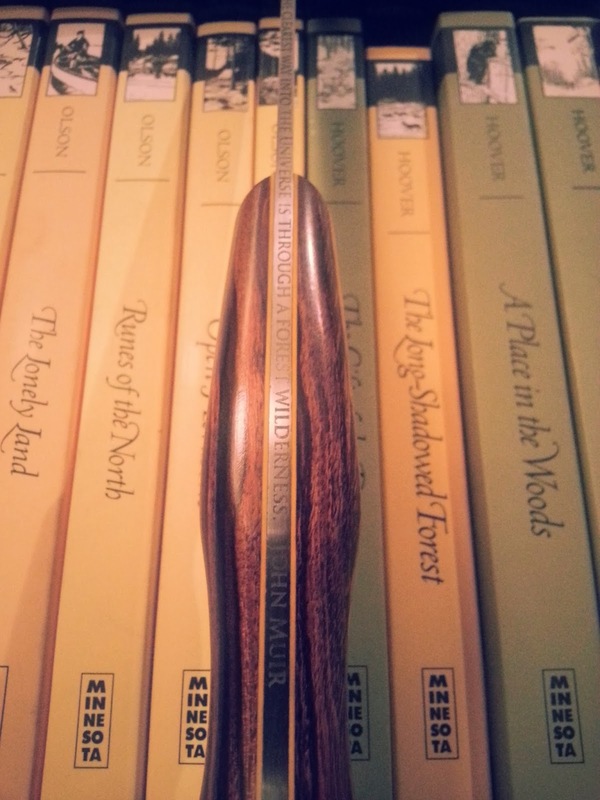 A nice touch is the John Muir quote on the spine which the maker kindly added at my request. 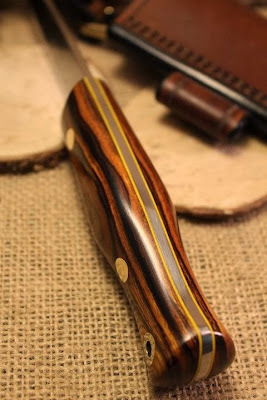 Well, thats a very nice knife!